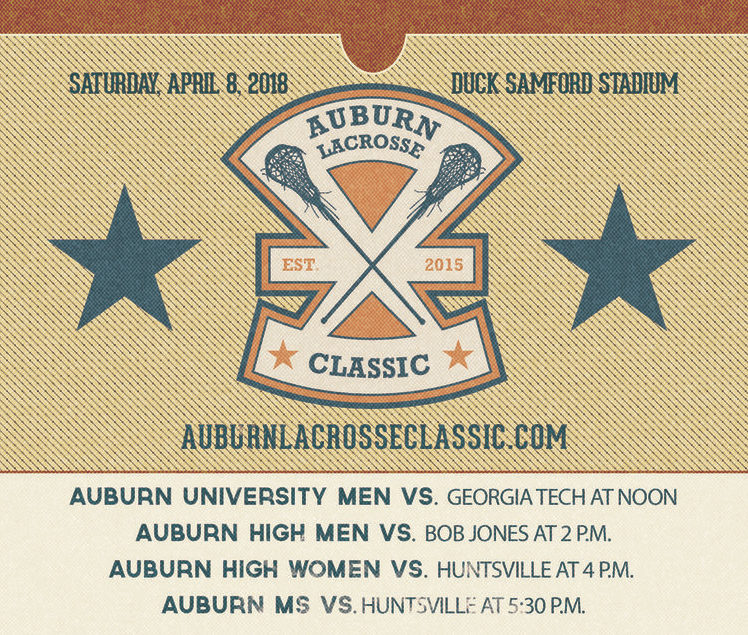 The 4th annual Auburn Lacrosse Classic is set for Sunday, April 8th at Duck Samford Stadium. The event celebrates the growth of lacrosse across the state of Alabama. Just as the sport has grown in our state, so has the Classic. This year, the 4th annual event features four games which will be kicked off by the Auburn University men’s team who will face off against the Georgia Tech Yellow Jackets at noon. Game 2 will start at 2:00 PM featuring the Auburn High boys (5-2) taking on the Bob Jones Patriots of Madison (1-2). Game 3 matches the Auburn High girls (3-2) against the Huntsville High Lady Panthers (0-7) at 4:00. The Auburn Middle School boys (3-3) round out the day against the Mountain Brook Jr. High School Spartans (4-1) in the final game at 5:30. Senior members of each squad will be recognized before the start of each game. Admission is free. 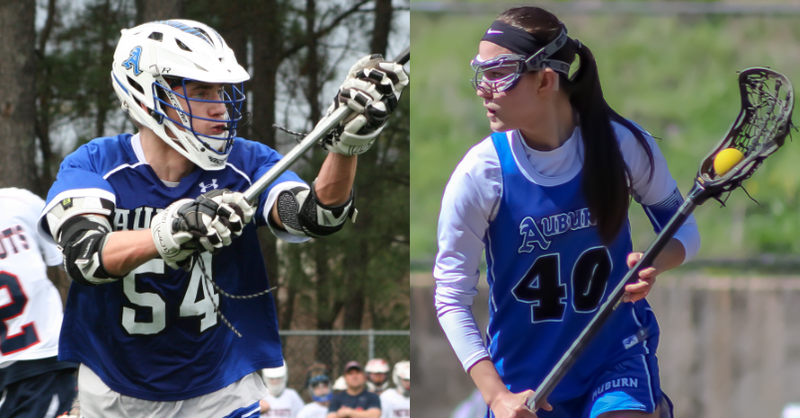 Both of Auburn High’s varsity lacrosse squads are ranked inside the the top five of the Alabama High School Lacrosse Standings. Lacrosse in the state of Alabama is growing and expected to become a sanctioned high school sport in the next few years. Georgia and Florida have already made it a state sanctioned high school sport. It is recognized as an emerging sport by the AHSAA and narrowly missed becoming state sanctioned for 2019. Fifty-six percent of Alabama class 7A schools currently compete in varsity lacrosse. Auburn Youth Lacrosse began in 2010 and has over 150 participating boys and girls from the elementary level through high school. Varsity teams currently participate in the Greater Birmingham Youth Lacrosse Association’s high school divisions. Following a 12 game regular season, the top 12 teams compete in a single elimination playoff followed by a state championship game held in Birmingham. Following the postseason, standout players are selected for the Alabama Lacrosse Association All-Star team.